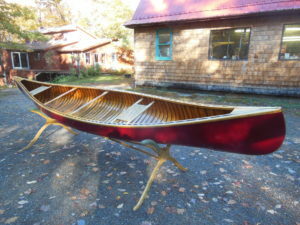 For Sale - Northwoods Canoe Co.
We finished restoring this Chestnut in 2012 and since then it has been sitting under cover at the shop. 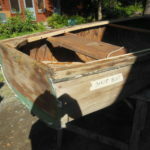 It may be a Chestnut Pal and Rollin estimates that it was built sometime in the 1950s. 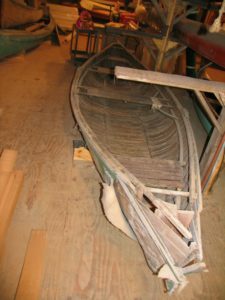 In restoring the canoe, we stripped the old varnish from the interior, replaced the keel, the outer spruce rails and several ribs, put in one new stem and two new seats, and, of course, re-canvassed the boat. 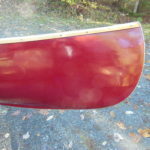 The classic burgundy paint finishes the hull. 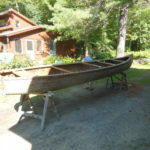 Asking $2400. 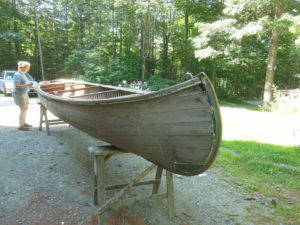 This 15-foot rowing Peapod is a rare, collector’s canoe, possibly built around 1900. 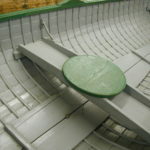 The hull, including ribs and planking, is not deformed and is in good, restorable condition. 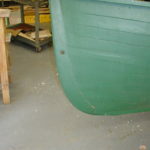 It needs all new rails and decks, and the two rowing seats need rebuilding, but it is definitely worth restoring. 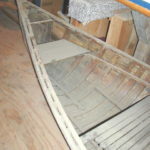 Asking $2000. 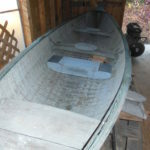 This Sprague model Grand Laker has been stripped of fiberglass and its ribs and planking are in great condition. 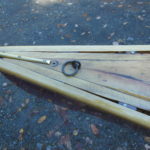 It will need a lot of replacement parts, like gunwales and transom, but only minor planking repairs. 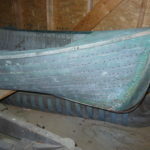 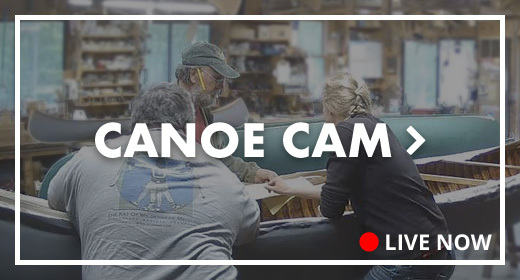 This hauling canoe has a 40-inch beam and is 18 inches deep. 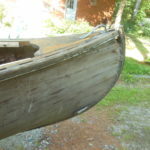 Asking $800. 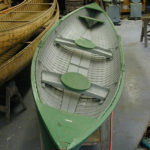 These two traditional rowboats were made by Bartlett in western Maine, possibly in the 1920s. 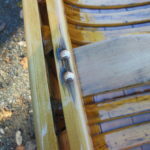 They were built with lapstrake pine planking, clinch-nailed to the hardwood ribs. 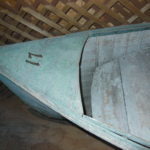 They have a wide beam of 45 inches and a depth of 15 inches. 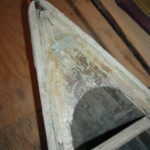 The first has been stripped of paint, inside and out, and is overall in better shape. 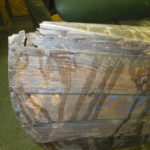 The second still has its paint and also has many broken ribs. 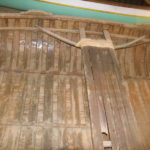 Though extensive work is needed, both rowboats have stable hulls that are not deformed. 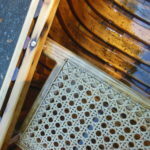 Asking $800 for #1, $300 for #2.